Kuala Lumpur: The next Regional Comprehensive Economic Partnership (RCEP) meeting, which will be held at the ministerial level on March 2, 2018, will be a crucial one to discuss the progress of the trade deal. Minister of International Trade and Industry, Datuk Seri Mustapa Mohamed, said he was confident the meeting, which would be held in Singapore, would serve as a platform to bridge the gap between Asean and other countries. “We are confident that with the commitment from all parties, we can reduce the gap between Asean members and other countries,” he told reporters at the launch of SME Bank Y-Biz Challenge 2018 and MySMEBank Online Application system yesterday. 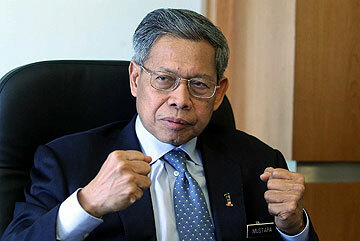 Mustapa said Malaysia still hoped for the proposed trade deal to be sealed this year. It was reported the Philippines has demanded its RCEP fellow negotiating countries to work towards a speedy conclusion of the agreement. It said there were complications coming from Australia, China, India, Japan, New Zealand and South Korea, it said. Meanwhile, the 21st round RCEP meeting was held in Yogyakarta, Jakarta, from February 2 to 9, 2018. It was attended by RCEP’s 16 negotiating member countries and at this round the discussions included topics like trade of goods and services, investments, issues regarding legalities and institutions, as well as the rules of origin. Once sealed, the RCEP would become the largest trade bloc in the world that could boost economic growth of its members. RCEP is free trade agreement between Asean’s 10-member states and six other countries, namely Australia, China, India, Japan, South Korea and New Zealand. — Bernama.